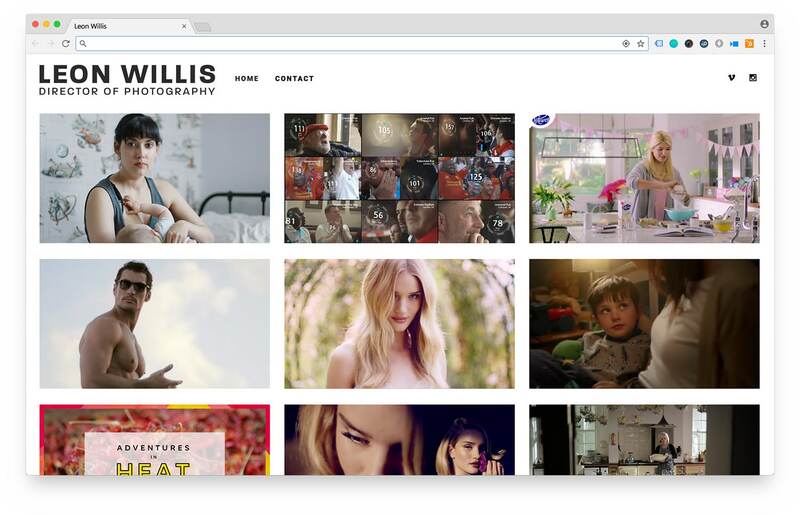 Leon Willis is a director of photography who has worked with many great directors and brands over the last few years. Before having the website we’d created for him, his only outlets for his work were Vimeo and Instagram. Now he has a clean, crisp and professional website which will serve as a great showcase for the fantastic work he has done.